Development of our specialist LED Lighting Department is now complete, yet new designs and projects are evolving to meet our customer’s needs. Because we design, import LED parts, manufacture and install the whole systems, we are in complete control of the whole process. This means you get exactly what you want when you want it. 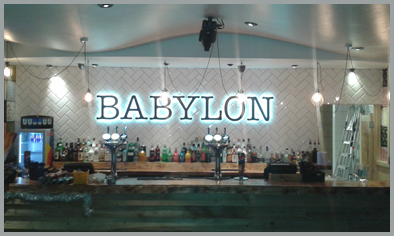 The Customer supplied Total Signs and Graphics Limited with a Photoshop design of the required lighting effect. 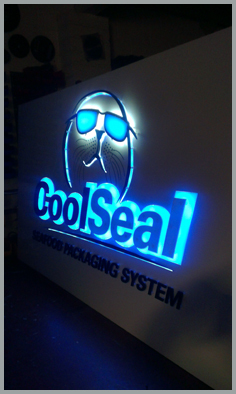 From that point our designers created vector files to produce a bespoke individually letter backlit sign system. 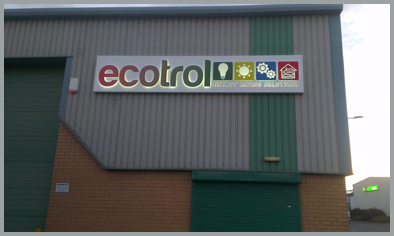 Completed letters contain LED modules that create the exact effect required by the customer. This sign system was designed to the customer’s specific requirements for Humberside Airport. Following the successful installation of the system, the customer ordered a larger external system to match. Another specific design created for a packaging company as part of an exhibition system. Based on our most popular design this system was designed, manufactured and installed by our team. 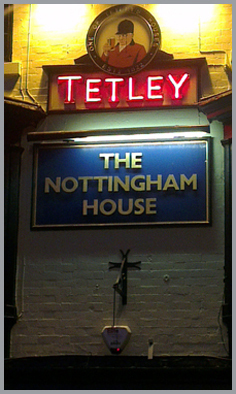 The refurbishment of this original “Tetley” sign was carried out by removing the original “Neon” tube system and replacing it with a bespoke LED tube system. The remainder of the sign was also refurbished with a mix of printed vinyl and hand painting. The video to the right shows a completed “Modular” LED sign system that was designed and built by our skilled team. The system contains over 5,400 individual LEDS and is controlled via USB. 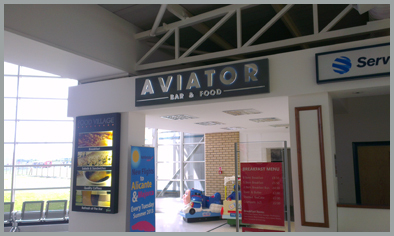 This type of system we have designed is modular, therefore there is no limit to the size of the finished sign system.